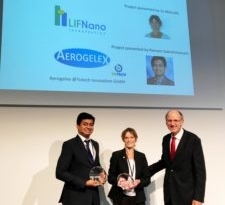 Congratulation to Raman Subrahmanyam and Aerogelex: Yesterday, on 8 November 2017 they have won the Nanomedicine Award for the best nanomedicine deal category. 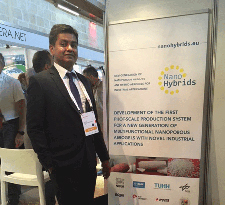 Aerogelex has been born out of TUHH and the NanoHybrids project. 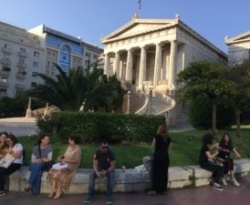 On 1 November 2017 Professor Patrina Paraskevopoulou started her Research Stay at the Institute of Thermal Separation Processes at TUHH in Hamburg, Germany. Her Research Stay is funded by DAAD (German Academic Exchange Service) and will last for three months until 31 January 2018. 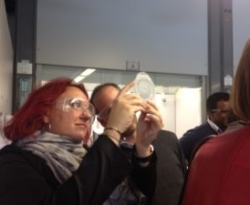 The Mendeleev University of Chemical Technology of Russia (MUCTR) is organising an International Youth Summer School: Aerogels: from laboratory to industry.